Some may argue that China’s newly approved foreign investment law is merely a gesture to ease overseas investors’ concerns and keep FDI flowing into China, or a rushed attempt to smooth the way to a new trade deal with the U.S. But if we look at a series of initiatives that China has been advancing since October 2018, the complete picture tells us that a wider opening up is underway. The new law overhauls the existing foreign investment structure and incorporates many of the innovations implemented in China’s Free Trade Zones. Despite many details yet to be clarified, the new law — as a framework — marks a critical and strategic turning point that makes it clear China is on track to be a major responsible stakeholder in the world economy. The challenge, during implementation, will be in how the government handles the expected push back from those state-owned enterprises (SOEs) that have a vested interest in keeping the status quo. 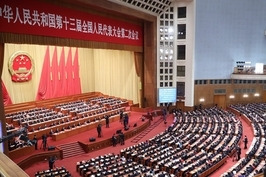 This will require careful crafting of the negative list; communicating clearly to the different levels of government the importance of this significant shift in policy; as well as moving the focus away from creating barriers of entry into some sectors, shifting to allow access that would have both domestic and foreign firms follow regulations laid out in Chinese law. The last three decades saw the country emerge as the strongest and biggest manufacturer in the world. China has become a vital player in global trade, particularly after joining the WTO. However, its role in the global value chain was until recently still merely that of a manufacturing base. The last wave of globalization shifted industrial power from the West to the East. And although investment flowed in one direction, both foreign investors and their Chinese counterparts enjoyed the benefits it brought. On one hand, foreign-funded enterprises in China enjoyed ‘ultra-national’ status (even more benefits than local companies) and were entitled to preferential treatment in land acquisition, employment, tax, and benefitted from loose environmental regulations. On the other hand, China, perceiving herself as a developing country, focused more on developing and “protecting” Chinese industries, and so imposed many restrictions on foreign investments in the country. 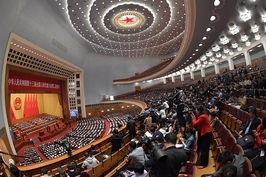 In today’s economic environment, the ultra-national treatment given to foreign-capital enterprises in China would not conform to WTO principles; neither would such strong governmental control over the country’s investment industry. Yet, the inadequacy of legislation was neglected by both sides while they were reaping strong economic growth and investment returns. It was only in 2014 that, for the first time ever, China’s inbound and outbound FDI reached a balance of around $120 billion, and it became a major investor in the world. 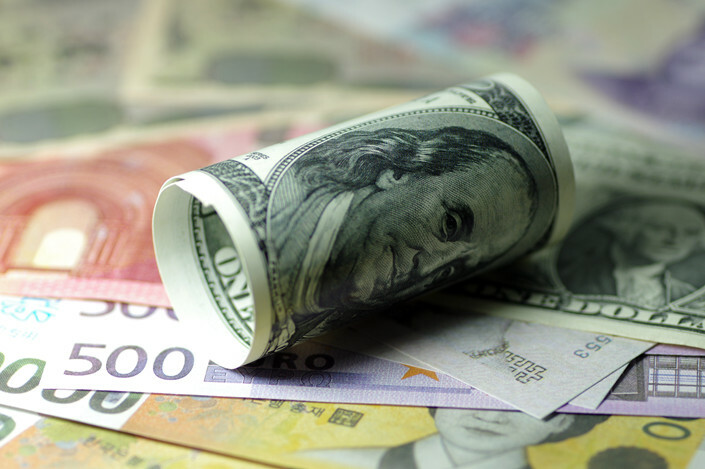 After that the environment for Chinese investors overseas turned less friendly, especially in Western countries, as concerns about less-than-reciprocal levels of market access gained more attention from their political leaders. Meanwhile domestically, when ultra-national treatment was no longer provided, the competition became much fiercer than before. China is now in transition towards a more sustainable consumption-driven and innovative economy. In 2018, total retail sales of consumer goods reached 38 trillion yuan ($5.65 trillion), making it the world’s biggest consumer market. China is no longer merely a manufacturing base. Labour costs, tax and land use are no longer foreign investors’ major concerns. Instead, they are focused on the importance of a more open, fair and transparent environment — for all types of investors. The new law is a vital piece of this puzzle — and the importance of the negative list cannot be overstated. In putting together the list, the government should resist any efforts by state-owned enterprises to influence the outcome. The list should be internationally acceptable, which means it should include sectors commonly protected in other countries, not be overlong, and should focus on effective regulation rather than erecting barriers to entry. Once the negative list is in place, the next hurdle will be implementation of the new law. This will be a major challenge unless the different layers of government fully understand its significance as a fundamental shift in China’s investment and trade environment. If they fail to grasp the importance of this, they will not change their behaviour, undermining the application of the new law, and leaving foreign investors frustrated. Disappointingly, the new law excluded the financial sector. The continued exclusion comes despite China announcing several times that the country will loosen control over foreign investment in the sector in the next few years. Many of the challenges being faced within the sector are not because of inclusion or exclusion of certain types of players, but missing regulations and a failure to consistently enforce those that do exist. In combating shadow banking, for example, the biggest challenge is continuous regulation. China should take a normalized approach to the financial sector and move from regulation by entry and shareholding percentage to regulation in licencing and operations. Those who enter — as well as domestic players — should play by the rules if they wish to reap the benefits. Foreign companies legally recognized as Chinese entities, with Chinese operational licencing, should be subject to Chinese regulations that also govern domestic firms. The new law will come into effect on Jan. 1. 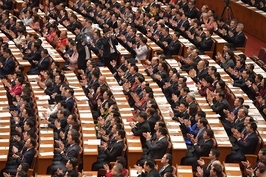 The most critical step over the next nine months will be how the Chinese government will steer new avenues to strengthen legal enforcement. We hope legislators will engage in extensive consultation and solicit input from industry stakeholders, that the negative list will be highly effective, and that clear procedures and mechanisms can be set up for efficient implementation. Ding Yuan is vice president and dean of the China Europe International Business School in Shanghai. Researcher Cui Xiang also contributed to this article.